At Star Bound Dance Company, we are passionate about introducing students to the joyous art of dance. Having spent many years ourselves in dance classes, we know first hand that learning to dance is beneficial to children in a variety of ways, some of which you may not expect. This is why we offer dance classes for children as young as two! If you would like to learn more about why your child should enroll in dance classes, read on below for the top benefits. Time and time again, we learn the importance of physical activity for our health. Regardless of your own personal health history, at some point in your life, you have received the advice that you need to exercise in order to be healthy. It is crucial that you teach your child to incorporate regular movement into their life, and an amazing way to do this is through dance. Regardless of whether they are taking jazz, tap, hip hop, or ballet classes, dance is a highly energetic physical activity that benefits your health in many ways. Participating in regular dance from a young age means that your child can anticipate increased flexibility, strength, range of motion, and endurance. In addition, dance can address poor posture, improve muscle tone, increase coordination and balance, and help with heart health. Not only that, dance is good for emotional and cognitive health. Dance is an expressive outlet that allows children to explore their emotions through movement. Participating in any exercise is beneficial to your mental health, and dance, in particular, provides a way for your child to move their body and use creativity to enhance their mood. Dance helps children to distract from worries, relax from stress, and express their emotions and ideas through art. It’s not always easy for all children to socialize with others. While you might have a social butterfly on your hands, you might also find that your kid is shyer than their peers. Dance affords them a great opportunity to practice social skills and make friends. Dance inherently involves cooperation. By learning this art through classes with a group of their peers, your child will interact and work with children their age, giving them an arena to practice these important skills. 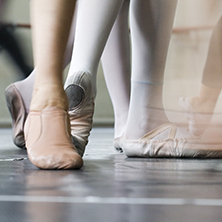 In dance, you take turns, work as a team, follow directions, and form friends. The earlier a child becomes involved with dance, the more they stand to benefit from the way it naturally helps you develop better social skills. High self-esteem doesn’t just happen, particularly in an age when children are absorbing so many mixed messages from different sources. You know that your child is beautiful and special in their own way, but that doesn’t mean that the media or their peers is communicating that message. Dance is an incredible way for children to become comfortable in their own skin. You have to get to know your body and really live in it when you’re involved with dance, and this helps children take ownership of who they are. Not only that, as they develop their skills and become better, they start to feel more confident in themselves. Dancing is such a happy form of self-expression, it’s hard not to develop a positive attitude about life and your worth when you take dance classes. If your child is experiencing any emotional problems or mental or physical impairments, they may benefit from dance in particular. If you’re ready for your child to benefit from the power of dance, we would love to teach them. We offer a diverse range of classes at our dance studio in Airdrie, including ballet, jazz, tap, musical theatre, and acrobatics! Contact us to register your child for dance lessons today.